Nǐ hǎo! (Hello!) Looking for a professional, native Mandarin Chinese voice over for your project? Well, you've come to the right place! We offer some of the best voice over artists at prices you can afford. Since 2008, Voice Crafters produced Mandarin Chinese voice recordings for corporate / promotional videos, product and explainer videos, e-learning modules, commercials and many more. If you're localizing to Chinese from another language, you'll be glad to know that we also perform post-production tasks such as sync the VO to picture, SFX, mixing and mastering. And if you need subtitling in Simplified Chinese (or Traditional for that matter), well, we do that too! Have a listen to the professional voice actors below and contact us for any help on your next project! Inni is reliable, prompt and very easy to work with. 5+ years of VO experience. Voice age range spans from 15-35 years old. Mandarin Chinese is one of the most common language in the entire world. Though primarily spoken in Southwestern and Northern China, there are more Mandarin speakers in the world than any other language. Over 960 million people speak Mandarin Chinese. As a member of the Sino-Tibetan language family, Mandarin includes a number of smaller languages within its overall umbrella. 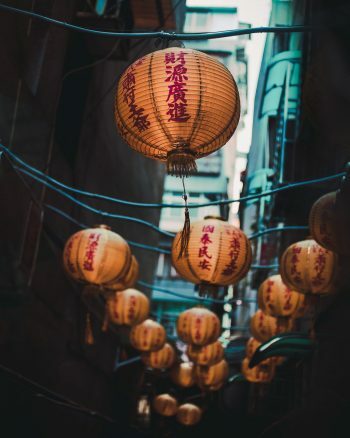 Due to the large area of China that speaks Mandarin, there are small variations on the dialect that are dependent upon the specific city of origin. Mandarin is considered the language to use for any diplomatic or official content, especially since it is the dialect spoken in the capital city of Beijing. In addition, you will also hear Mandarin Chinese in Taiwan and Singapore, though with noticeably different accents. As Mandarin is the official language of the People's Republic of China, it is generally only referred to as Chinese, and not specifically Mandarin. At Voice Crafters we represent vetted, native Mandarin speakers as well as Cantonese voice over artists so you can count on us to cover all your narration needs for South-East Asia. The voice over for this video was performed by professional voice actor Yuyu H.
Voice Crafters was responsible for the sync, audio mix, titles and subtitles for this video as well as localizing versions in Spanish and Brazilian Portuguese. Yuyu has over seven years of VO experience, three of which has been in radio. His voice suits documentaries and corporate videos exceptionally well, but he is also capable of voice acting for other VO applications.